Another play about New York Yankees, Bronx Bombers, started on Broadway on February 6, 2018 at the Circle in the Square Theater. The play is the third in series of plays surrounding sports produced by Fran Krimser and Tony Ponturo. Play is about legendary baseball player Yogi Berra, but Joe DiMaggio, Reggie Jackson and Derek Jeter comes in the play as dream characters. Playwright was done by Eric Simonson which got approval of Yankee organization. 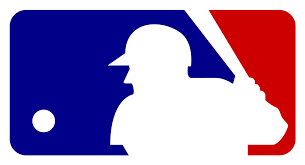 The Major League Baseball (MLB) also endorsed the play script and the producers use team logo and uniforms. The MLB also helped the producers with sending e-mails to all season ticket holders promoting the play. Along with Yankee players, producers circled the late night talk shows promoting the production. On the opening day, the Circle in the Square Theater was decorated with full of sports memorabilia. Sports themed plays are not new to Broadway. Lombardi which opened in 2010 was endorsed by the National Football League (NFL) and was a big hit with more than 250 performances. Legendary players and stories about them contribute to the success of Broadway plays. Most difficult part is to charge much higher ticket price when a game can be watched at much cheaper price.